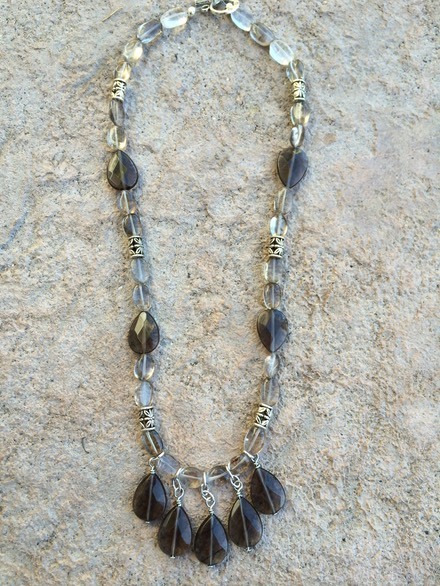 The "teardrop” Smokey Quartz gemstones are faceted and beautifully translucent! Each of the teardrops measure 5/8" x 1/2". Smaller stones are also Smoky Quartz. 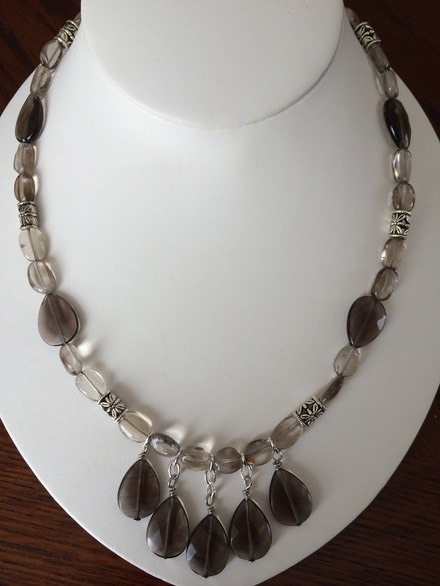 Accented with Pewter beads. Toggle clasp. This is a 17" necklace. One photo was taken in "indoor” light, and the other photo was taken in natural daylight.